Nearly 27 years after Pan Am Flight 103 was blown up over Lockerbie, Scotland, Scottish and U.S. authorities are seeking to question two new suspects in the terrorist attack that killed 270 people, including 189 American citizens. The actions by prosecutors come two days after a FRONTLINE investigation by filmmaker Ken Dornstein revealed new information about a suspected Libyan explosives expert who may have played a role in the bombing. A spokesman for Scotland’s prosecution service, the Crown Office, said in a statement that the two Libyan suspects were believed to be involved in the bombing along with Abdel Basset al Megrahi, the only man ever convicted for the 1988 attack. Megrahi — who U.S. officials identified as a member of Libyan intelligence — served eight years of a life sentence before he was released by the Scottish government in 2009 on compassionate grounds. He maintained his innocence until his death in 2012. 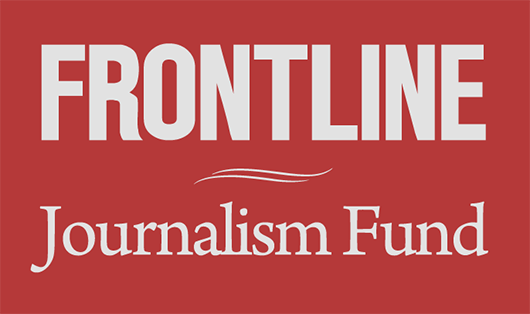 During the course of his reporting for the three-part FRONTLINE series My Brother’s Bomber, Dornstein tracked down two men suspected of a role in Lockerbie and found both of them still alive in Libya: the alleged bomb expert, Abu Agela and Abdullah Senussi, the head of Libyan intelligence at the time of Lockerbie. A U.S. official confirmed to The Washington Post that Agela and Senussi were the men being sought for questioning. Lockerbie investigators knew that Megrahi and Agela, had traveled together several times before the Lockerbie bombing, but Dornstein discovered new details about their relationship. In the film, Dornstein found a Libyan man — convicted for a separate bombing — who told him that Agela helped assemble a bomb that exploded in a Berlin disco in 1986. The FBI spoke to the Libyan, Musbah Eter, after Dornstein’s investigation, and he gave them new information. Eter said he had no doubt Lockerbie was carried out by Libyan intelligence; that Megrahi was a key member of the plot; and that Agela personally told him that he’d helped carry out the bombing. 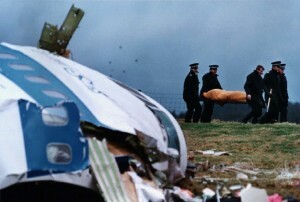 Records showed that a week before the Lockerbie bombing, Agela entered Malta, where the bomb that blew up Flight 103 was believed to have originated. A passenger list also put Agela and Megrahi on the same flight to Tripoli on the day of the attack. But during the Lockerbie case, investigators didn’t have the connection that Dornstein’s reporting uncovered. In the aftermath of the 2011 Libyan uprising, Agela was apprehended and then sentenced by a Libyan court to 10 years in prison for bomb making. Senussi was also convicted for war crimes and crimes against humanity and sentenced to death by firing squad. The FBI declined to comment about the Crown Office request, but in a statement to FRONTLINE provided in response to My Brother’s Bomber, it said that it was “working aggressively ” to bring those responsible for the Lockerbie attack to justice. “Just as it has since the date of the tragic bombing, the FBI continues to dedicate resources and pursue all possible avenues related to the investigation into the bombing of Pan Am Flight 103,” the statement said.